The Bridge School is tackling the number one challenge facing the tech industry - saying no to excellent talent - because of preconceived gender-based biases. 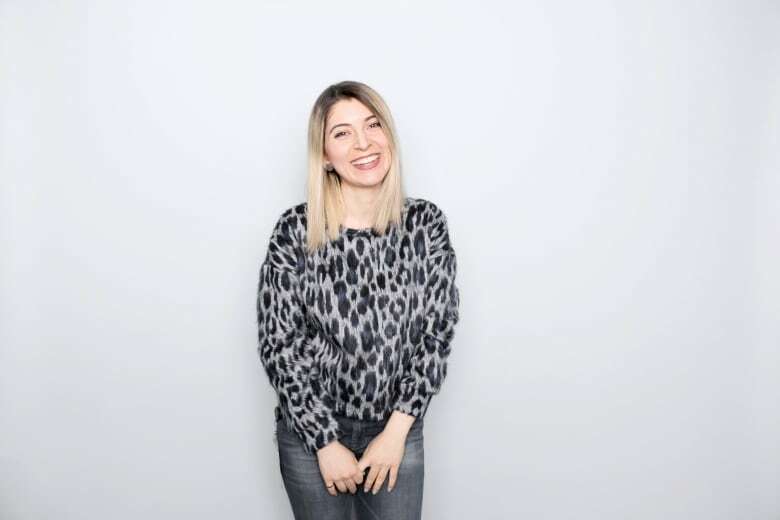 After graduating with a masters degree in chemical engineering from the University of Quebec in Chicoutimi, Meltem Kilic decided to pursue a different career path — in software development. "Male colleagues of mine, developers, they've actually been so much in contact with technology since they were really young," Kilic said. "That wasn't the case for me." Although she now works as a software developer at Toronto-based software maker Rangle.io, the 28-year-old said advancing her career in the sector came with some doubts due to her late start. That was compounded by the lack of gender diversity in leadership roles in her chosen field. "When I look at the industry and community I see definitely less women in leadership roles," Kilic said. New people in the tech industry need more gender-diverse role models to look up to, she says, so the lack of them makes climbing the career ladder even harder than it would otherwise be. After going to a coding bootcamp, Kilic decided to join Bridge School, a not-for-profit organization based in Toronto that offers free programs in advanced software development and product design to marginalized groups. She is among 92 graduates from the school since it was founded in 2016. "We started Bridge largely in response to a problem that is in the tech industry but in many male dominated industries," said Emily Porta, executive director at Bridge School. "An issue where there is nowhere near enough women, agender and non-binary professionals working." Porta began Bridge as a passion project while also working at Rangle.io, which is one of the school's lead sponsors, along with the Royal Bank of Canada. Bridge operates its business through funding from sponsors and donations. She said the organization is for those who are already in the technology industry, but don't know what their next career step might be. The programs are meant to help professionals advance their careers in technology. Porta said the number one challenge the tech industry faces are people saying no to excellent talent, because they have preconceived gender-based biases that they may not even be aware of. "You walk into a room and immediately you're just labelled as a junior developer or junior in your career no matter how much experience you have," said Purvi Kanal, the organization's director of software development. Kanal said it's common for marginalized groups to have to work exceptionally harder to get into the sector by paying for supplementary education like bootcamps that teach you skills to start a career in development and design. Kanal said these bootcamps aren't very cheap and they can cost about $10,000, which is why she wanted to ease that burden a little for people who already face an uphill struggle. "We really wanted to take those people who are willing to work so hard and give them those extra skills that they would need to stay in the industry and hopefully, eventually become leaders," Kanal said. There is a moral imperative to offer these programs for free, according to Porta. "Economic disadvantage is just another way to marginalize people," Porta said. "Coming from a low economic background myself … we didn't want to put that barrier in front of our students." Almost 80 per cent of companies globally haven't fully prioritized putting more women in leadership roles, according to a recent study from the IBM Institute for Business Value. The study surveyed 2,300 executives and professionals — an equal amount of men and women — across 10 industries worldwide including the technology industry. The study showed that only 18 per cent of the companies surveyed had women in top leadership positions. Paul Papas, the global leader for IBM digital strategy & iX, said what gets in the way of a company having better gender diversity and representation in the workplace is the lack of urgency in making this a priority. Papas said striving for gender equality in the workplace is not only the right thing to do, but there are real benefits to having more diverse representation at the top. Only 12 per cent of the firms surveyed made advancing women in leadership roles a business priority. "They outperformed along key metrics of revenue growth, profitability and innovation," Papas said. He added that those people already in leadership roles should be fostering a culture of inclusion. According to the study, most of those leaders are men. Porta said this problem in the technology industry is not easy to fix, and companies need to be dedicated in order for change to happen. "I think most companies and the people who run most companies don't prioritize it anywhere near highly enough," Porta said. "I don't know why they don't just look at the numbers and make some changes." In a short amount of time, both Porta and Kanal said they've seen graduates go on to advance their careers. "Slowly we can see some progress there as well where we've seen a few of our graduates take on advance leadership roles in development and become team leads," Kanal said. Graduates like Kilic are still giving back to the place that helped kick-start their careers. She is now a mentor at Bridge, and she hopes she can share her story with other women beginning their careers in the tech sector. "I know a lot of women are in my situation where somehow in their careers they thought about tech, but they felt that they weren't really caught up for that," Kilic said.